Alison Funk, LPC, graduated from Emporia State University with her Bachelors of Science in Rehabilitation Services and her Masters of Science in Counselor Education. She is a Licensed Professional Counselor (LPC) and is a Nationally Certified Counselor (NCC). Alison was an intern at New Perspectives and chose to stay upon graduation. Prior to her internship, she worked with children and adolescents with developmental disabilities in a community-based day service program. Alison works with a variety of ages, from age 5 up to adult. She has experience in working with trauma, PTSD, foster children and families, grief, anger, depression, anxiety, self-esteem, and group work. 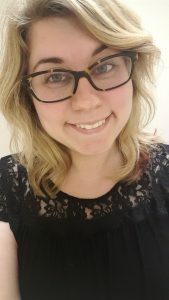 Alison likes to utilize play therapy when she can and strives for her relationship with clients to be based on working together for an ultimate goal of healing and understanding of life’s stressors.